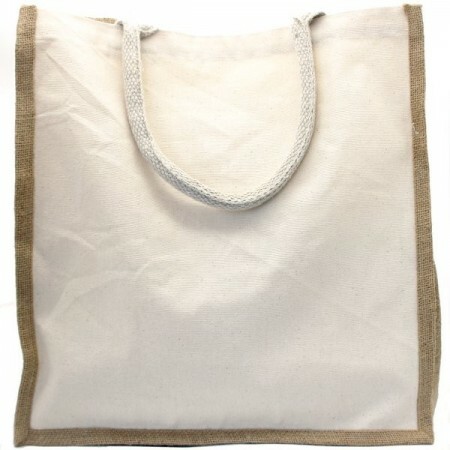 A large, super strong shopping bag made from organic cotton canvas and jute. 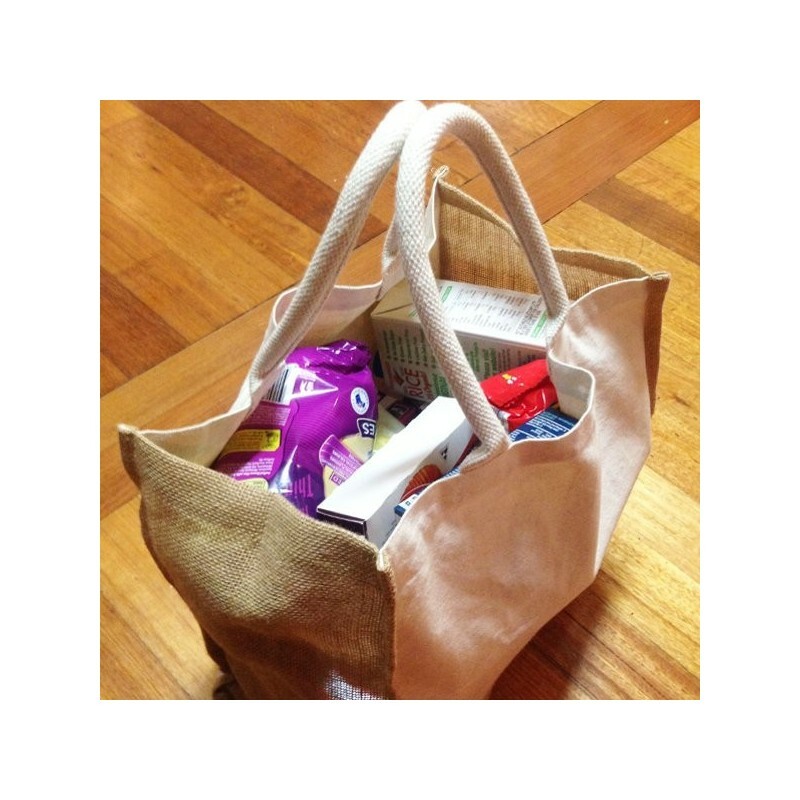 With a sturdy base and strong double stitched corded handles, these environmentally friendly shopping bags are made to last for years. 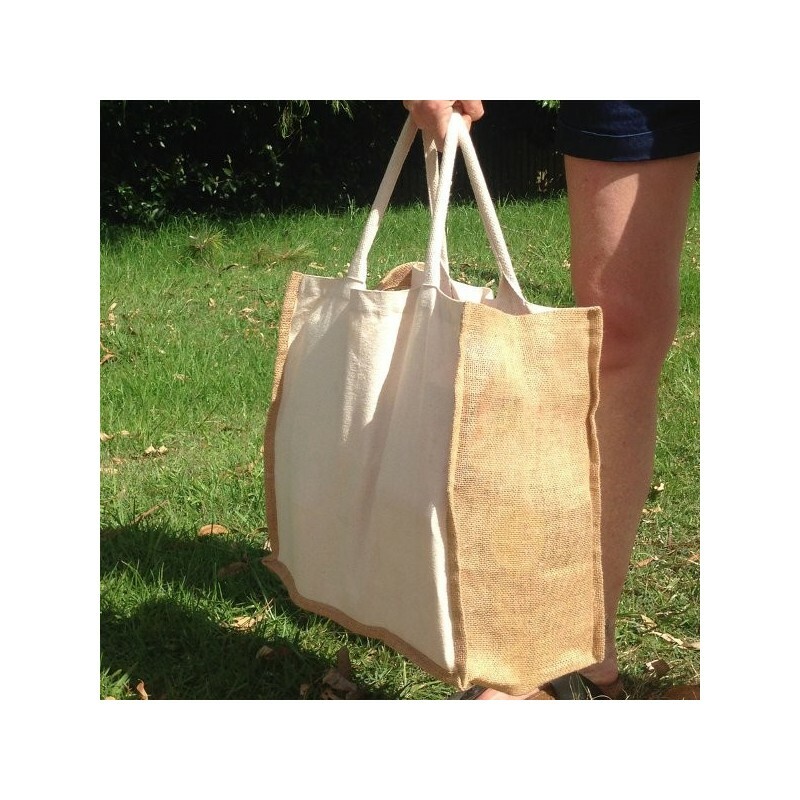 Renewable and ecologically grown jute. 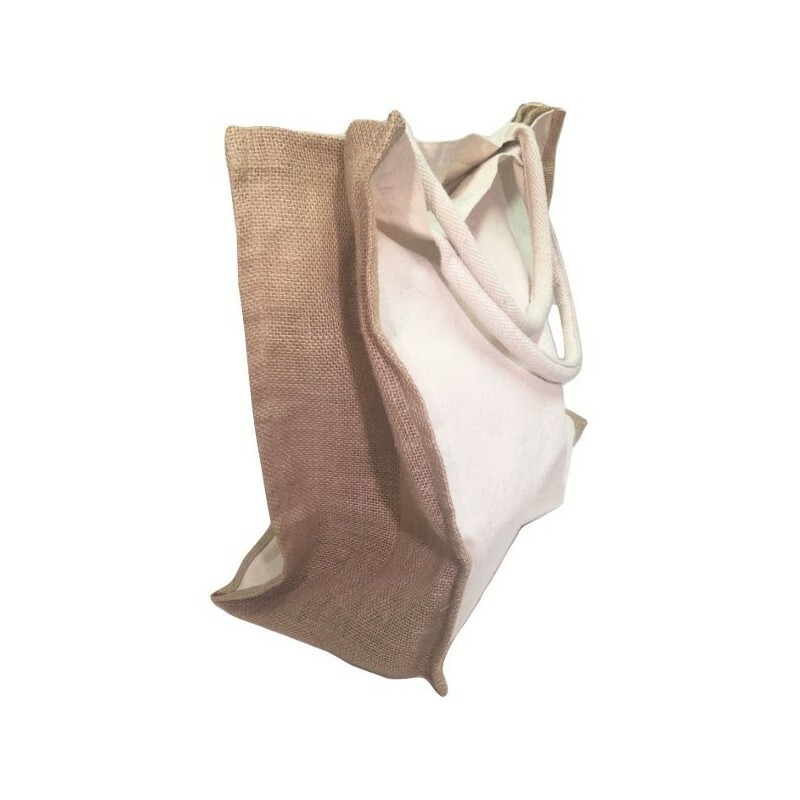 Double stitched corded handles for extra strength and comfort. 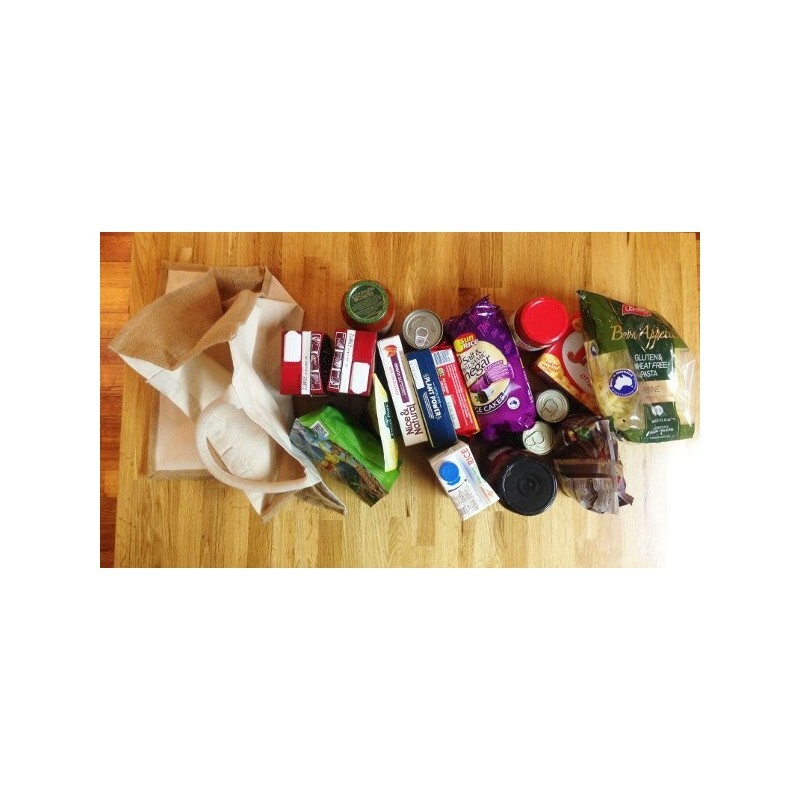 37 x 37 x 19cm, plus handles. 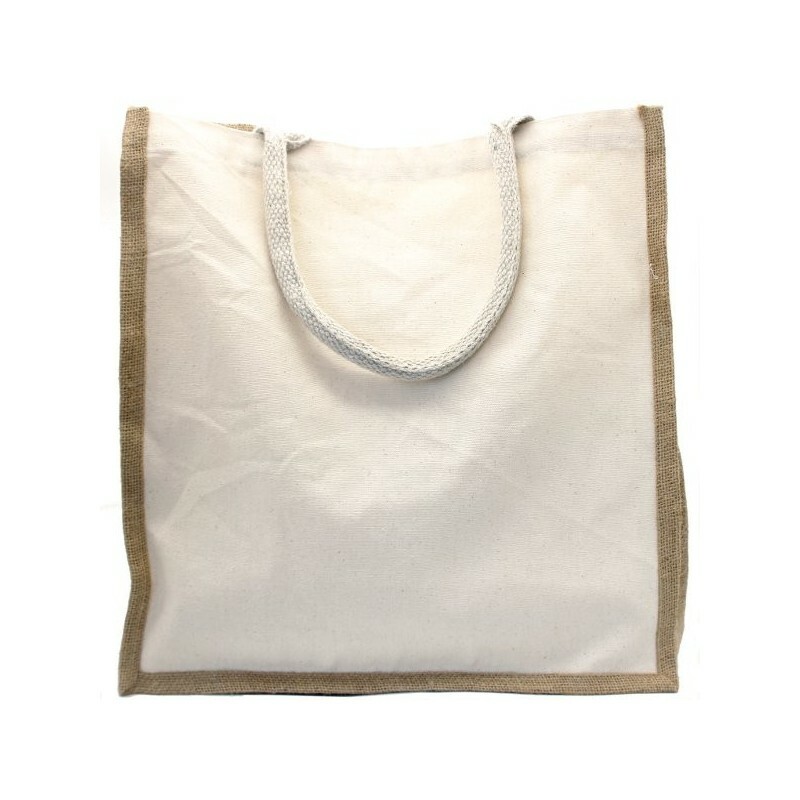 GOTS certified organic cotton canvas and jute.